Wearing the right fit of jean is like good underwear, once you have the foundations sorted you can feel confident to build the rest of your outfit around it. But finding that perfect pair can be challenging especially with so many options of cut and finish. I’ve teamed up with Marks and Spencer as they launch a fab new online Denim Style Guide with top tips ands videos from the pros on finding the perfect jeans whatever your shape and size. 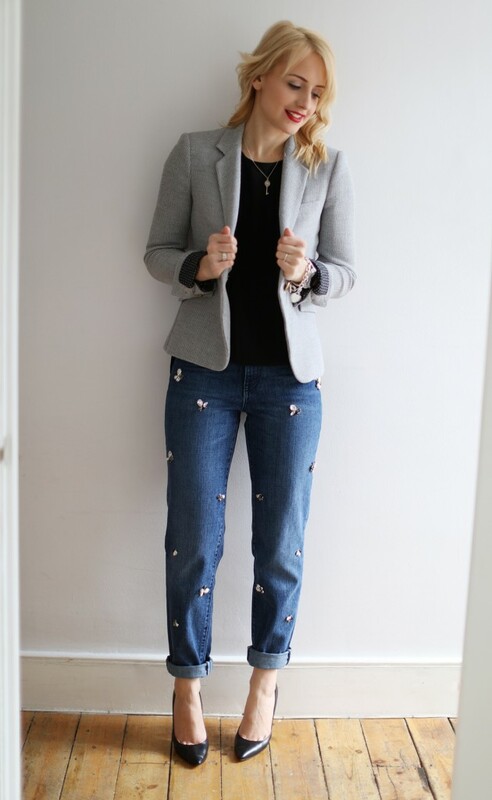 In collaboration with the launch I’m sharing my top tips on fitting and styling the Girlfriend Jean. Slimmer than a boyfriend jean but more relaxed than a skinny, the girlfriend jean offers a break from skin-tight denim while still feeling feminine. Roll the hem to show your ankles and give the illusion of slimmer legs. The higher waist will snugly conceal a mum tum under tops and if you’re more an hourglass shape with a defined waist, loosely tuck your top in for flatter your frame. Mid blue is the denim colour du jour, distressing optional. Pocket size and positioning is key with a higher waist jean. As a rule of thumb (or perhaps that should be, rule of bum!) larger pockets will make your rear appear smaller, while smaller pockets will give shape to a flatter behind. The position of pockets is as important: high pockets will give the illusion of a bigger bottom while lower pocket placement will shrink it down. 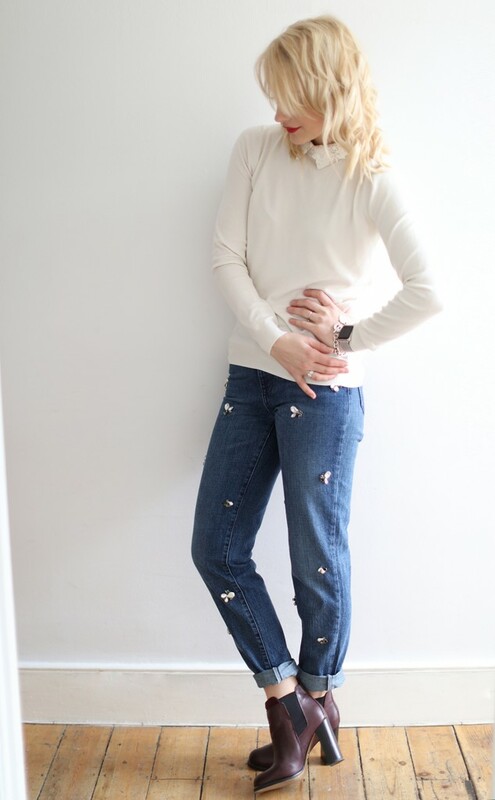 I’ll be honest, 99.9% of the time I’ll wear these particular jeans with heels, but I do wear plainer girlfriend style jeans (like these) with trainers and low-heeled boots for a more relaxed look that’s ideal for the school run. If you are partial to a brogue or loafer choose a metallic finish to give these jeans a lift. A simple knit or white shirt is then all you need for a put-together daytime outfit. Style tip: A black sweatshirt adds a sporty edge to contrast the girly crystals. Style tip: Team with black and grey to smarten up. Keep accessories neutral. Style tip: A classic striped tee, black blazer and red heel or ballet flat adds a Parisian feel. 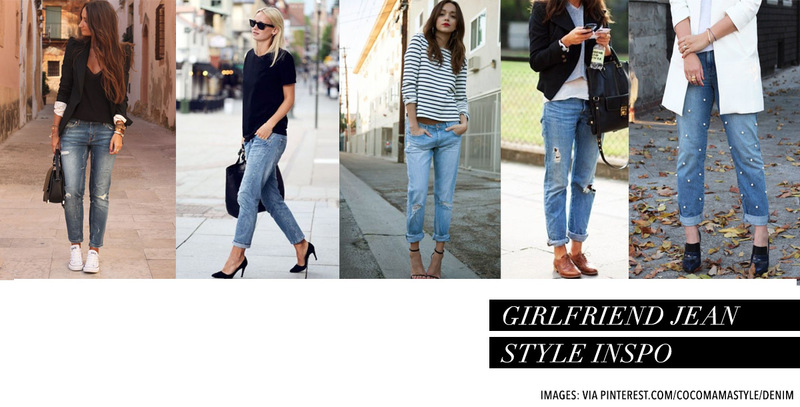 Take a look at Marks & Spencer’s Denim Style Guide for more expert tips on finding the right jeans for your shape. Muddling Along recently posted…Time off for good behaviour? Are these m&s jeans you’re wearing? Love them been trying to find some ripped girlfriend style.